Check out this cute baby poncho project I recently crocheted. This pattern is fantastic and works up so quickly with no seams to sew when you finish. 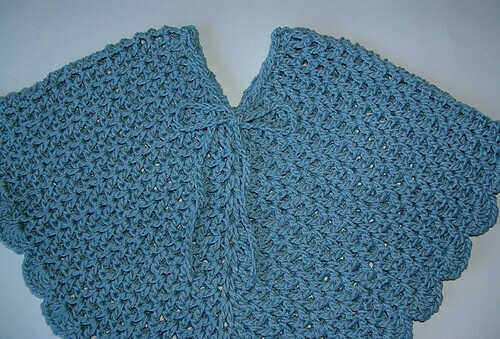 Aggie May’s free poncho pattern makes about a 2T child’s size poncho using a G (4.25 mm) crochet hook. You could add additional stitches in your beginning row to make a larger size. My poncho has 16 rows before the trim and it’s 16″ long at center from the top. 19″ across the top of shoulders. In case you are wondering, the yarn is some 100% mercerized cotton I found at my local thrift store. 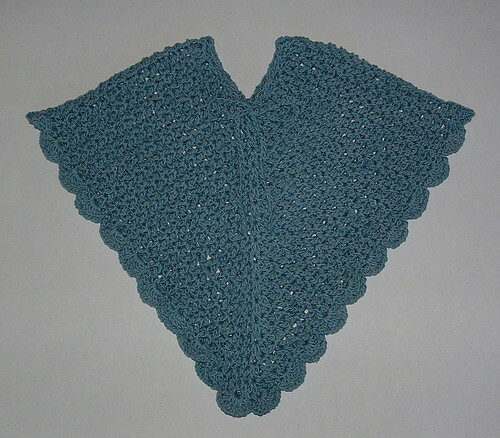 I used about 350 yards of the cotton to crochet the poncho.